According to Diane Charton, more and more thinking from the worlds of economics and psychology is creeping into marketing. A discipline called behavioural economics is challenging many of our old assumptions and helping us to think about how our customers behave in totally new ways. Behavioural economics, pioneered in marketing through thinkers like Rory Sutherland, of Ogilvy & Mather UK and co-founder of OgilvyChange, holds that people don’t always make decisions or act as rationally as we might think. Instead, people are influenced by a range of irrational, and often unconscious and emotional, factors when making a decision. Though the decision-making process may be irrational at times, it is based on a set of principles that are consistent and predictable. Sutherland says: “The emergence of behavioural economics provides the marketing industry with a framework fit for purpose for the next century.” Current thinking is that ‘informed’ consumers and stakeholders take note of corporate communication, behaviour and products in relation to current public issues and debates, and make their decisions about companies based on that. Companies need to focus on both their and their clients’ communication, attitude and perceptions if they want to influence others’ behaviour. 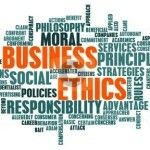 People identify with companies that do have values and do behave ethically. Brand research used to focus on the frameworks and approaches typically associated with the field of corporate social responsibility. 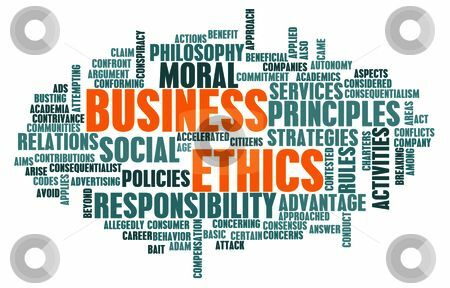 However, only when the focus shifted away from specific policies, practices and issues, to recognising that even those companies with ethical, social and environmental dimensions are commercially motivated, did they discover the ethical brand process. Although ethical brands base their behaviour on their values, authentic ethical brands are not perfect. However, the one thing that sets them apart from all others is the way they respond to these imperfections. One of the major challenges the authentication methodology had to overcome was to incorporate an in-built tolerance for human imperfection that does not in any way undermine the integrity of the approach. Responding to stakeholder approaches – timely and respectfully. Discovering the ethical brand process was an important milestone in branding methodology. It clearly identifies activities that we could observe and measure in an unbiased and clinical manner. The EB process reveals everything we need to know about how responsive the organisation is to the needs, interests and concerns of all its stakeholder communities – anywhere, anytime. This entry was posted in Uncategorized on May 18, 2014 by Dee.